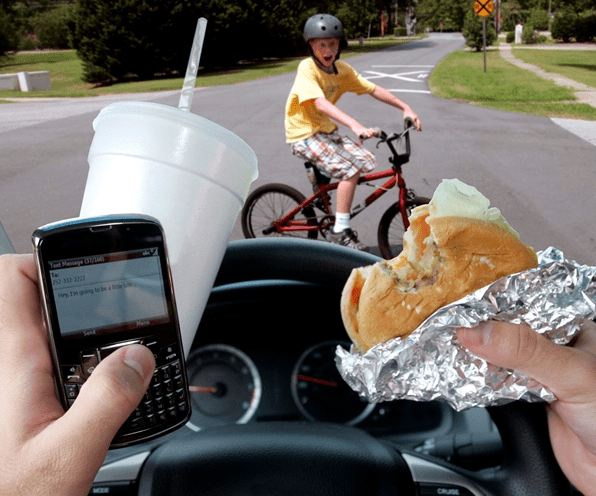 We all know that I am a huge anti distracted driving proponent. It’s just plain dumb to text and drive. Period. However, I think this new Washington State law, which went into effect this Sunday, goes too far. Under the new law, drivers can and will be fined for just holding their phone while driving. OK, I get that. You shouldn’t need to hold your phone anymore as most cars and/or phones have voice activated features. Washington lawmakers want drivers to have “minimal use of the finger” while driving. But this also applies to when drivers are stopped at a red light. Granted, it is annoying when drivers in front of you are texting or tweeting when the light turns green and they don’t realize it but it is hardly dangerous. Besides, that’s what horns are for. Furthermore, the Washington law also stipulates that holding a cup of coffee while driving is a punishable offense. Huh? Sure, no one should hold a scalding cup of hot coffee for an extended period of time while driving, but just taking a sip is now illegal? Millions of commuters sip their coffee while driving to work every day and nothing happens, so why the overreach Washington? What’s next? No itching your face while driving? I mean it does take your hand off the steering wheel for about the same amount of time it takes to sip some coffee. What about reaching in your pocket to grab a piece of gum? What if you sneeze? That could be catastrophic! In fact, I think Washington State should take this law a step further and require that all drivers have restraints attached to their steering wheels so you can’t remove either hand for any reason. Not even to pay a toll. What this all boils down to is safety behind the wheel. Like I said earlier, typing on your cell phone while driving is one of the dumbest things drivers can do. However, when the government, no matter how well-intentioned, passes overreaching laws to protect us from ourselves, I take issue with it. Now it looks like UK has joined France in banning petrol vehicles by 2040. This is only 23 years from now. Personally, I think this is blowback and political posturing due to the recent Dieselgate scandal and the Pari Agreement. I get that these countries want cleaner air and that’s a laudable goal but there are so many internal combustion and even diesel engine vehicles on the market today that hardly put out any emissions at all. Why not work with the car companies to produce more of them and help educate consumers about their environmental benefits? I guess that would make too much sense.